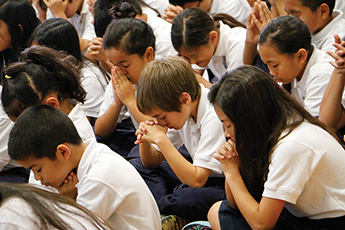 We have deep appreciation for the work of Kamehameha Schools. The tremendous progress of our students and organization has created a strong foundation that allows us to set our sights and expectations even higher for the years to come. Higher education leads to higher achievement. We are committed to maintaining a laser focus on educational outcomes. 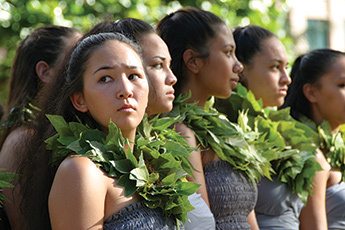 We believe Kamehameha Schools can and must lead in providing high-­quality educational experiences for Native Hawaiian children and families. However, we are also keenly aware that the kind of bold change we envision to improve the well-being of the lāhui is a shared responsibility that no one entity can achieve on its own. Strategic collaborations among organizations that have similar values and commitment to serve Native Hawaiians will be increasingly crucial in achieving a brighter future for the lāhui. The strategic planning process has allowed us to collaborate with our executive team and community stakeholders to provide direction and to encourage new and innovative ways to achieve the mission of Kamehameha Schools. The resulting strategic plan focuses on Educational Pathway Milestones and outlines our organizational priorities from 2015 to 2020. We look forward to the upcoming months and years as our entire Kamehameha Schools ʻohana and community collaborators work together to address greater collective impact so that success in strengthening our lāhui within a generation of twenty‐five years will be a shared success.